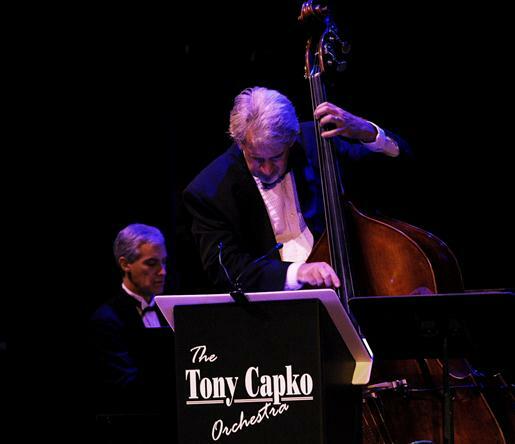 Tony Capko Orchestra will perform. PALMDALE – Food, music, giveaways, videos, classic cars, confetti, dancing, presentations and the singing of “Happy Birthday” will all be part of the City of Palmdale’s 50th Birthday Celebration to this Friday, Aug. 24 from 5:30 to 8:30 p.m. at Poncitlán Square. Gift bags containing mementos, including a Palmdale history booklet and Kids Activity Book, and 50th birthday t-shirts will be given away while supplies last. Food and beverages will be available for purchase onsite. The celebration kicks off at 5:30 p.m. with a meet and greet/photo opportunity with Palmdale’s first Mayor Larry Chimbole, and music performed by the Tony Capko Orchestra, featuring Bernie Miesinger. 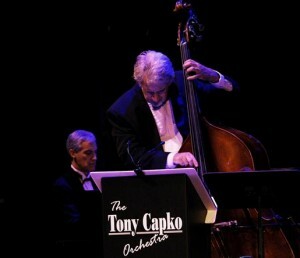 “They’ll be playing some big band standards and music from the ‘Rat Pack’ era which was popular around the time the City incorporated,” Mlynar said. Also beginning at 5:30 will be a classic car show, and the presentation of the new video, “Palmdale: Celebrating 50 Years” which will be shown throughout the evening in the Palmdale City Council Chamber. A special presentation will be made to the City’s founding fathers and their families at 6:30 p.m. The founders, known as the “Fifty Grand Men,” were the original contributors of $100 each in order to fund the project that led to the City of Palmdale’s incorporation in 1962. In actuality, there were 56 contributors, but the name “Fifty Grand Men” was chosen because they liked how it sounded. The celebration will continue with prizes that will be awarded to the weekly Thursday Night on the Square trivia contest winners, presentations of proclamations by local elected officials, a Palmdale “cheer” led by the Dazzler Dance Cheer group, and culminating with the singing of “Happy Birthday,” a confetti drop and 50th anniversary cupcakes at 7:30 p.m.
For more information, call 661-267-5115. 4 comments for "Countdown to Palmdale’s 50th Birthday Bash"
Congratulations on the occasion of Palmdale’s 50th Anniversary as the First City of the Antelope Valley! Many thanks to Larry Chimbole, who is the instigator of this event. He has had help, of course. . . and John Mylnar and the rest of the city staff have worked tirelessly in that regard. My hat’s off to all of those who pulled together to honor the 50th Anniversary event. . . and of course, to the “Fifty Grand Men” – who we all know by now are really 56 in number – who donated $100 each to get the incorporation issue before the voters and make the City of Palmdale a reality. No longer a town under the control of Los Angeles County, but a place where local decision making could take place. A place to call home. Have at it, folks. . . I’d love to read your responses. @ David Cox… Trivia Answers: 1) 2 square miles 2) Plant 42 ? We have a winner for trivia question #1. . . Michelle Egberts! Hmmm. . . I was thinking of downtown Palmdale (Palmdale Blvd. and Sierra Highway) and the businesses there that existed upon Palmdale’s incorporation in 1962. But since Plant 42 (a series of buildings, of course) was around even before 1962. . . try the early 1950’s I’m told. . . we have a winner for question #2 also in Michelle! Of course, there are other businesses and buildings that qualify for this answer. Hint: look around Palmdale Blvd. especially around Sierra Highway for examples. Here’s a trivia question… In 1915 what was the approximate population of Palmdale?